The Paraclete community is an interesting one. Our associates live and minister far and wide, and we believe that is a good thing. So we use many methods to maintain connections within our community. Some of them are new information technologies, like email, social media and teleconferencing. Some of the ways that we maintain community are more traditional, and one of them is happening the end of April. Associates from all across the United States, and some from other countries, are gathering in Colorado Springs for the 2015 Paraclete Conference and Retreat. It has been 18 months since we got together like this, for fellowship, rest, encouragement, networking and training. This year’s theme is Connections. Ironically, one of the scheduled sessions for this “face-to-face” meeting is training in new information technologies that Paraclete makes available to associates. These are powerful networking, information and productivity tools that we hope will enhance associate ministries and foster relationships within Paraclete until the next time that we are able to come together for another conference. Please pray for/with us. The logistics involved in bringing together a group of this size are considerable. Spiritual opposition is evident. Associates have experience unexpected complications with health, family, finances and ministry as they prepare for the conference. We believe that this is to be expected when God is about to do a great thing. Pray that he would lead, bless and strengthen us for renewed ministry coming alongside Christian leaders around the world. Paraclete associates ministered in 35 countries in 2013. I’ll highlight only two. The Van Meters are two of the most delightful people who enter the lives of others, see their hearts and pour out in very wise and intimate offering. As they come alongside the global missions community, they passionately encourage and equip missionaries to care well for their souls. It is so helpful for me to discuss things with you and evaluate the different areas of my work. It helps me to see my vision and goals much clearer, to be bold and confident and to listen for the voice of the Holy Spirit. Thank you so much for giving me so much of your time and helping me to build up my spiritual life and my leadership ability. Paraclete associate, Julie Field, ministers in Ethiopia. She has been working with a local group in ministry to teenaged girls. This month they received formal NGO status. Here’s what Julie wrote in a press release to other agencies working with young women. 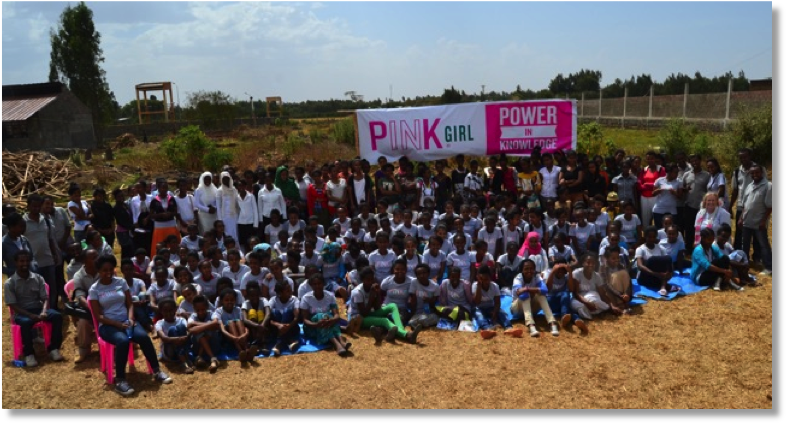 Pink Girl Ethiopia is a licensed NGO in Bahir Dar- Northern Ethiopia! We have been a pilot program for four years and have grown from 15 girls to 200 since January, 2011. In Ethiopia only 30% of girls complete high school, and only 20% go on to university. Pink Girl believes that the girls need tutoring and life skill support and with that will move through university. In four years 24 girls have gone on to university or nursing college and 95% of our girls each year pass to the next grade. We have small-sized classrooms with a max of 20 girls. We have taught the teachers to tutor and create an interactive learning environment, and it is working. We may be small but we are powerful. P in K = Power in Knowledge Girl = PinKGirl.